More than a stain. More than a finish. A system that’s guaranteed to perform. More than a product line. A reputation builder. More than a beautiful floor. A delighted customer. More than a promise of great results. A system guarantee. More than a floor finishing company. An industry leader. Since 1898, generations of contractors have counted on us to deliver the highest quality wood floor coatings. You know DuraSeal Quick Coat as simply the best stain on the market. And we know there is only one way to best protect your Quick Coat stain—by using premium DuraSeal Water-Based finishes. It’s performance you can count on. Application after application. Job after job. Contact us today for a FREE product demonstration! DuraSeal Quick Coat stain and Water-Based Finishes are certified to GREENGUARD standards for low chemical emissions into indoor air. To learn more, visit greenguard.org. At DuraSeal, we are focused on one goal – your success. We’ll work with you every step of the way to make sure you have the products and support you need. And as you continue to build your business, count on us to be there for you with innovative products and service that is second to none. Get in touch with a sales rep near you for all of your hardwood floor finishing needs. 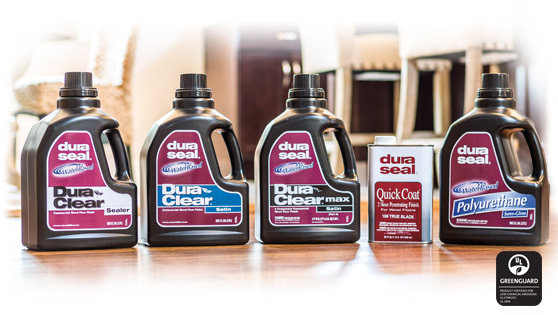 Your DuraSeal Sales Rep will identify the right product for your job and provide you with continued support. 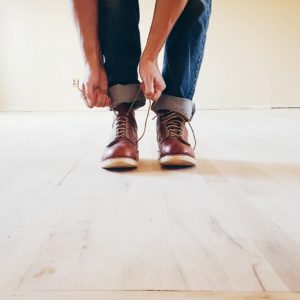 DuraClear Max is our most durable two-component water-based finish and offers the ultimate in look and protection for both residential and commercial hardwood floors. 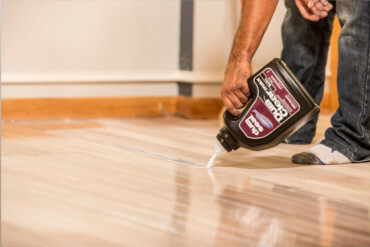 Quick Coat Penetrating Finish is our industry leading hardwood floor stain designed to seal, color and provide exceptional durability when used with our water-based finishes. DuraSeal Water-Based Polyurethane provides the amber look and finished appearance of an oil-based polyurethane. More than a stain and finish. A system that’s guaranteed to perform. We’re so sure you and your customers will be satisfied with the Quick Coat stain and DuraClear Max system, we’ve backed it with one of the industry’s best guarantees. For your customers, it’s the peace of mind in knowing they’re getting outstanding quality and durability. For you, it means fewer callbacks and more referrals to help your business grow. Contact your DuraSeal Account Manager for more details on our 5 year guarantee for residential jobs. Since 1898, DuraSeal has been the leading manufacturer of premium wood floor finishes. Today, we continue to lead the way by providing a complete line of stains, sealers, finishes, fillers, and maintenance products that meet your changing needs and help your reputation grow. And with a large team of application experts and over 800 distributor locations, you can also count on us to have your back every step of the way. At DuraSeal, your reputation is our inspiration. We’ll do all we can to make sure your customers are delighted and your business thrives. After all, that’s what partners are for.